If you have taken many pictures on your iPhone and want to transfer them from iPhone to Microsoft Surface Pro as a backup, this iMobie guide will show you how to make it with a step-by-step tutorial. With the built-in iSight camera of iPhone, we can take high-quality pictures with our devices. 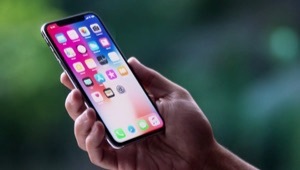 Therefore, no matter where you are, you can just use your iPhone to record the amazing moment in your daily life without taking a professional camera like Canon or Nikon. 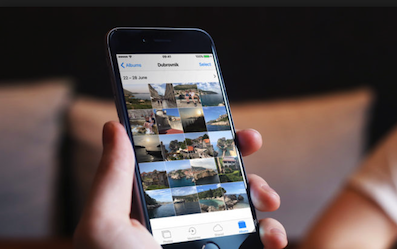 There is no doubt that you may have many valued pictures on iPhone. 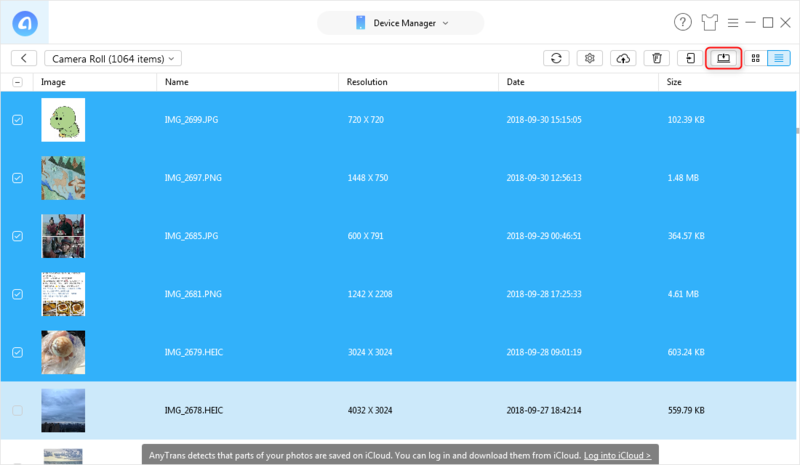 You can download pictures from iPhone to your Microsoft Surface Pro as backups in case of accidental data loss, and then delete some pictures on the device to free up space. When it comes to transferring pictures from iPhone to Surface, you are likely to use Windows Explorer or Windows AutoPlay to make it. The tools mentioned above are applied to transfer pictures in Camera Roll from iPhone to Surface. 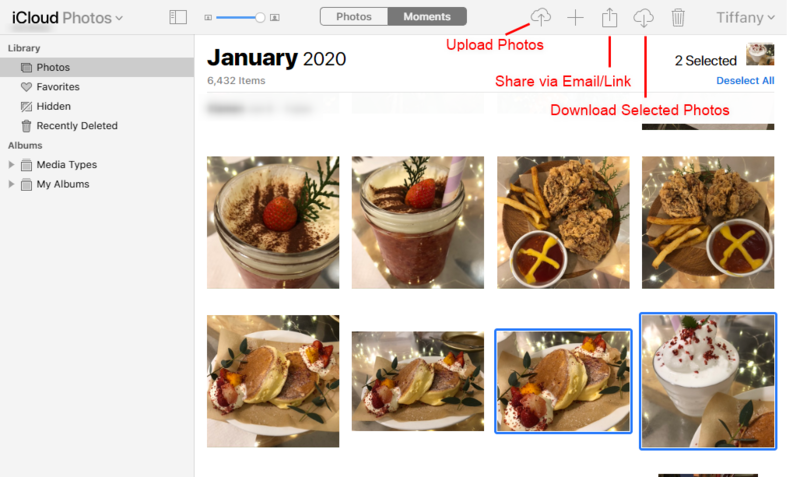 For Photos in folders like Photo Stream or Photo Library, they can’t help you. In this guide, we will show how to transfer photos from iPhone to Surface Pro. AnyTrans is one of the best iOS content transfer software to transfer pictures from iPhone to Surface Pro. 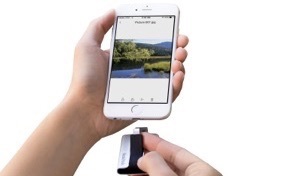 It allows users to transfer photos in Camera Roll, Photo Library, Photo Stream, Photo Share, and Albums. And it also supports transferring photos from laptop to your iPhone. 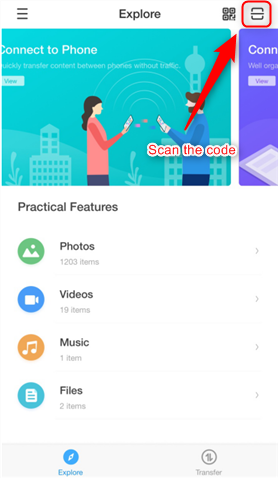 Besides pictures, it supports managing files like videos, music, contacts, messages, and notes on iOS devices. In addition, it is compatible with all iOS models of iPhone, iPod, and iPad. Step 1. Free download and install AnyTrans on Surface, and then connect your iPhone to Surface via a USB cable. Click the button on the right hand. Step 2. Click on Photos, and then click on one folder of photos like Camera Roll. Step 3. Preview and select photos you want to transfer, and then click on “To Computer”. 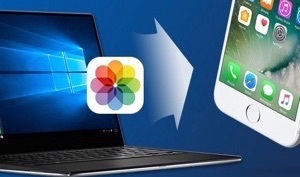 Apart from transferring pictures from iPhone to Surface Pro with AnyTrans for iOS, there’s another app could help you to transfer photos wirelessly. With AnyTrans app, you could download photos from iPhone to your Surface pro without a USB cable. Step 2. 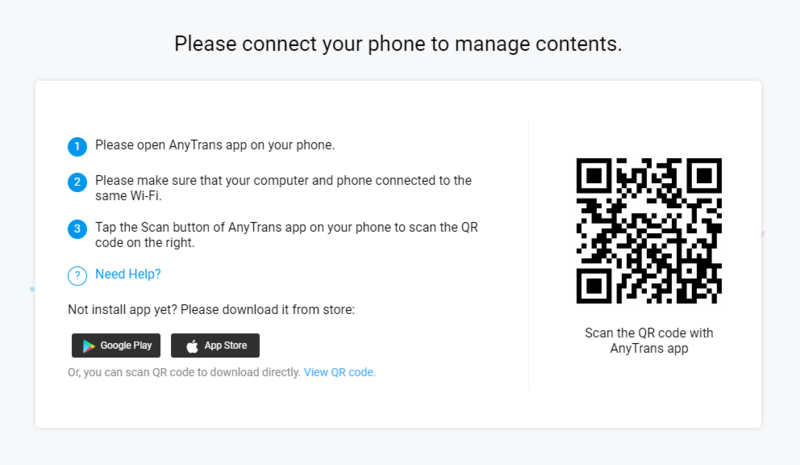 On your Surface: Go to AnyTrans website and you will see a QR Code. Step 3. On your iPhone: Open AnyTrans app, and tap on the Scan button to scan the QR code on your Surface. Step 4. Then all your iPhone photos will show up on your Surface Pro computer. Select the photos you want to transfer and click on the “Download” button to download pictures from iPhone to Surface Pro. 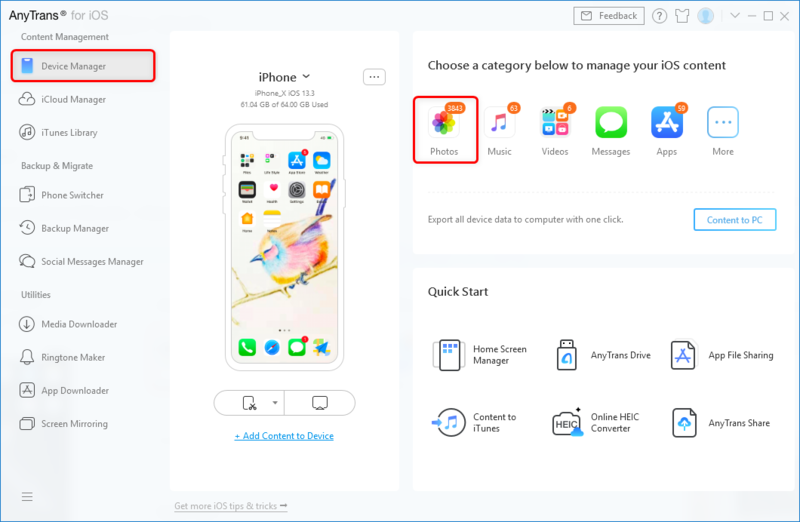 Besides transferring pictures from iPhone to Surface and Surface Pro, we can also use AnyTrans to transfer files from iPhone to Mac, to iTunes and another device without erasing the previous data. Download it now to have a try. If you still have any question, please contact our support team by Email. If you like this guide, please share it with your friends.